On The Brink of Burnout, Stop Living With Regret and Recharge Your Caregiving Energy Now! Author A. Michael Bloom was interviewed about the looming caregiving crisis on Boston FOX 25 News. You can see the August 2013 interview by clicking here. Ramsey Bahrawy, Esq., Host of "Your Money - Your Life" interviewed Michael about The Accidental Caregiver's Survival Guide. You can see the November 2013 interview by clicking here. In addition, Bloom's caregiving tips have been featured in Bloomberg's Business Week, Yahoo! Finance, and the Wall Street Journal On-line. 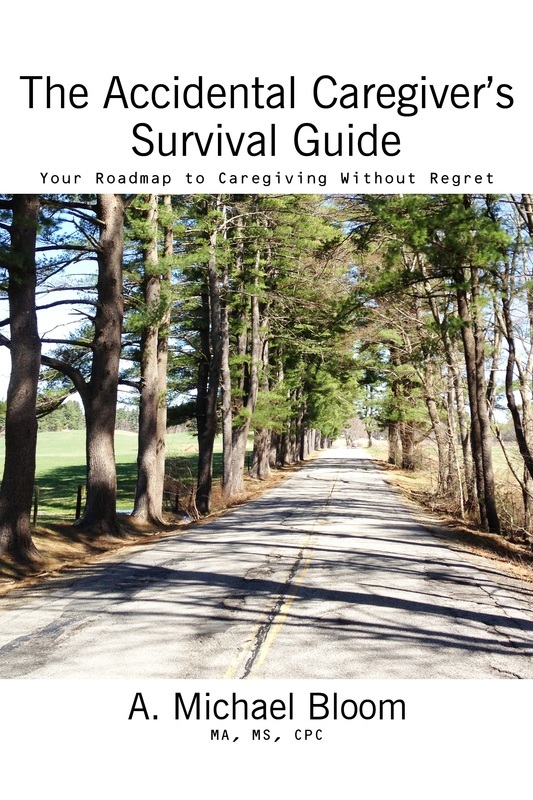 caregivers the roadmap to caregiving without regret. Inside you will learn practical tips, tools, and coping strategies to recharge your caregiving energy so you can revitalize your own life while you care for your loved one. · Care for your loved one in a way that leaves room for joy and freedom in your own life. You can preview the book with a FREE download of the first two chapters. Just enter your name and e-mail address in the box to the right for immediate access to the first two chapters.